Service your vehicle at Town Chrysler today with our factory trained and certified technicians. At Town Chrysler Jeep Ram, we have the perfect automobile for you and your family. Rest assured that you'll always be treated like family as we're committed to serving all of your automotive needs! Our factory trained staff are here to help keep your car as safe, efficient, and well maintained as possible. 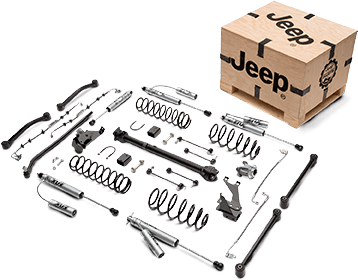 Contact our Town Chrysler Jeep Dodge Ram – Parts Team Today! 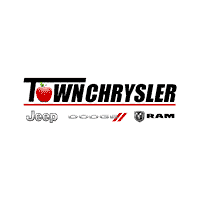 As your Wenatchee Chrysler Jeep Dodge Ram Dealer, Town Chrysler Jeep Dodge Ram is the best place to go for your next Chrysler, Dodge, Jeep and Ram purchase. We serve drivers throughout North Central Washington – including townships such as Yakima, Ellensburg, Moses Lake, and Cashmere. At Town Chrysler Jeep Dodge Ram we’re proud to set a higher standard. Whether you’re looking for a new or used car, a visit to us, your Wenatchee Jeep dealer, is always a good choice. Plus, we offer plenty of lease deals and finance offers, new vehicle specials, and weekly specials, so that your next Chrysler, Jeep, Dodge, Ram purchase is nothing short of a bargain. Rest assured that in choosing us, a Wenatchee Dodge dealer, you’ll be treated like family here. Beyond our new vehicle deals, we offer an enormous selection. Expect to see top-selling models such as the Jeep Cherokee, Jeep Grand Cherokee, Jeep Wrangler, Ram 1500, Ram 2500 and more in our inventory. Looking for a Chrysler 300 or Pacifica? We’ve got those too. Can’t locate the best car for you? Rely on our handy vehicle finder service. Say a used car is best for you: don’t worry. We have an expansive inventory of pre-owned cars. From Chrysler, Jeep, Dodge, Ram certified pre-owned vehicles to a rotating panel of used car specials, Town Chrysler Jeep Dodge Ram ought to be your go-to used car lot in the Quincy area. Beyond our CPO selection and used car deals, we also sell plenty of cheap – but no less sophisticated – used cars under 10k. The best way to save on your next used car purchase is, of course, to trade-in your old one. Your Wenatchee auto experts can assist you in the sometimes-stressful trade-in process. If you’re having trouble navigating your credit score, your loan payments, or anything related to car-financing or car-leasing, you can rely on our auto finance team. As your Wenatchee Dodge dealer, we’re committed to your financial health – and to your unique automotive needs. Beyond great deals on new and used vehicles, we offer a wide variety of OEM Mopar parts for Moses Lake drivers. These parts, in contrast to aftermarket parts, are optimal for your Chrysler, Jeep, Dodge, Ram vehicle. Feel free to ask us a question about parts installation; we’re here to help. If you’re not a DIY-er, don’t worry. As your Wenatchee Ram dealer and Wenatchee Dodge dealer, Town Chrysler Jeep Dodge Ram offers end-to-end auto service at low prices. We utilize the latest automotive car care technology, and exclusively use only official Chrysler, Jeep, Dodge, Ram parts for any vehicle repair or upgrade. In choosing Town Chrysler Jeep Dodge Ram, you’re not just choosing a new or used car dealer. Rather, you’re helping the Wenatchee community. We’re affiliated with the Humane Society and Relay for Life, for example, and we’ll offer you tips on how to best enjoy the wonderful town of Wenatchee. As your Wenatchee Chrysler dealer and Jeep dealer, Town Chrysler Jeep Dodge Ram is wholly committed to offering an unforgettable dealership experience – whether you’re test driving, financing, or servicing a vehicle with us. Take the drive from Ephrata to our dealership, located at 1001 N Miller in Wenatchee, WA 98801. If you prefer, you can also call us at (509) 888-9595. Of course, we’re aware that phone calls can be inconvenient, so feel free to complete this easy-to-use contact form to contact us online.